Chinese name pronounced as Máo dìhuáng (毛地黄). 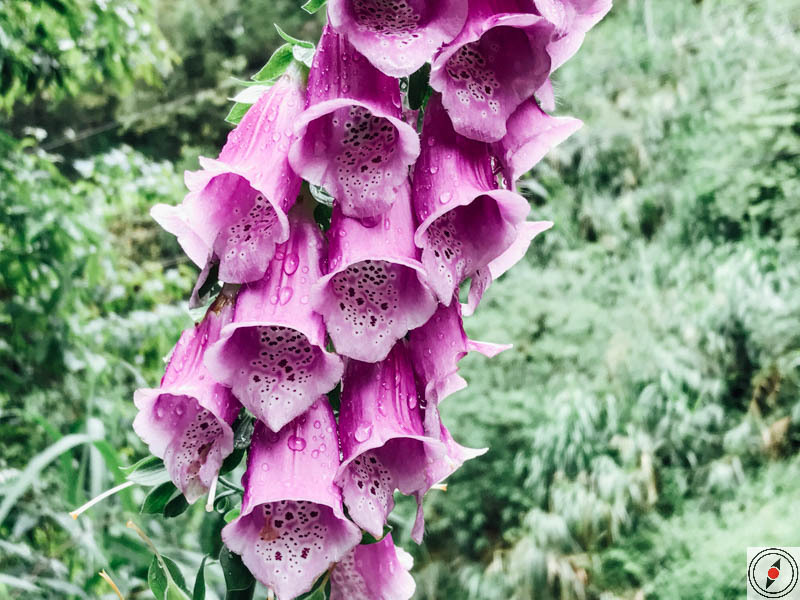 Commonly refers as foxglove or lady’s glove. Color is purple fading lightly to the brim of the petals. Grow in the wild and spread out in sparingly in groups. Bloom in the month of May in elevation 2,000 meters above sea level. Easy to spot. Prominent as purple color is bright with green background. Flowers grow along the stem of about 1.5 meters in height. Medicinal property for heart medicine digoxin. Showy blossoms, tubular and hanging in elongated cluster. More resourceful about Digitalis Purpurea. Next Luce Memorial Chapel, Nanya Rock Formation, and More!